Discussion in 'Team Fortress 2 Talk' started by tf2.com, Jul 24, 2014. The folks over at Source Filmmaker have just announced the Fourth Annual Saxxy Awards, and in the process dropped a bombshell: they've also added a Portal content pack as SFM DLC, and invited the Portal community to submit Portal videos to the Saxxy Awards for the first time. This means that this year more than ever, Team Fortress will be forced to compete on the same Saxxy Awards stage as Portal. And this could spell trouble for the Saxxy Awards janitors, since the resulting bloodbath from the absolute creative eviscerating TF2's going to give the Portal community will clog up the drainage system for weeks. But the time for big talking is over. Now it's time for action. And that means us leaving the stage after all the fun big talking and letting you do all the actual work. 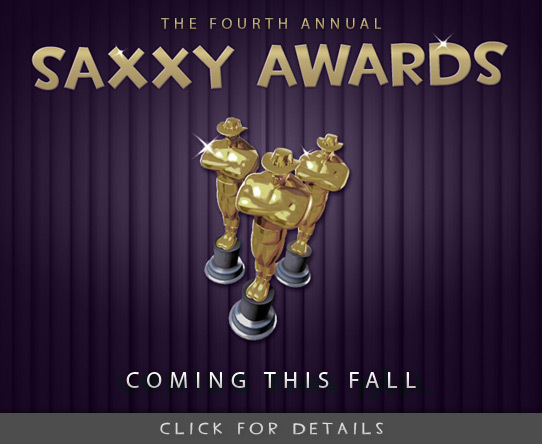 Check out the Source Filmmaker blog for rules and more details on the Saxxy Awards. And remember: Portals are just holes. You know what else are just holes? Toilets. Anyway, good luck to Toilet 2. Interesting to note: Valve seems to be under the impression that it's physically impossible for Source Filmmaker to render the unique things from Portal 2 like light bridges and, well, portals. And yet, they clearly used it to make the trailers for Portal 2 itself. Is... is this not the same Source Filmmaker that Valve uses? I said back when it was first unveiled and I noticed that it was made in Qt that this might be some sort of top-down remake intended to eventually be multi-platform. My theory is looking more plausible all the time.